!! OPEN HOUSE Wednesday, March 6th, 5-7 PM !! 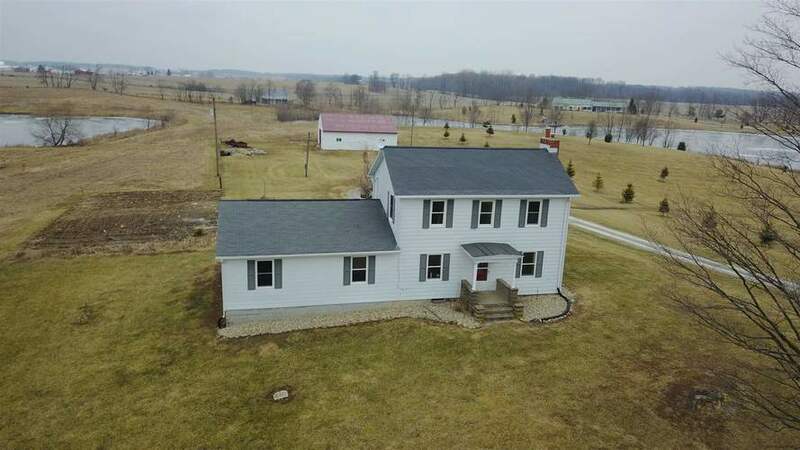 Newly Renovated, on 1.96 acres. 4 bedrooms, 2 full bathrooms with nearly 3,000 square feet of living space. Kitchen has granite counter tops and stainless steel appliances. Open concept dining room and living room with a fireplace. Master bedroom has 2 walk-in closets. Upstairs has a bonus room that could be a toy room or extra storage. Mud room entrance off the kitchen. 26x42 pole barn with stalls is perfect for 4H animals. Directions:South on Packerton Road to East on State Road 14. First house on North Side.